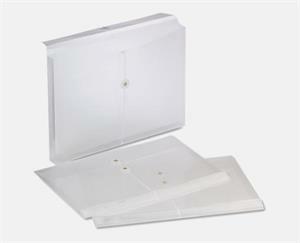 Horizontally oriented, booklet envelope is ideal for transporting files. Durable polypropylene construction is moisture- and tear-proof. Elastic string and riveted button closure stands up to regular use. Envelope Size: Legal; Envelope/Mailer Type: Expansion; Closure: String and Button; Security Tinted: No.